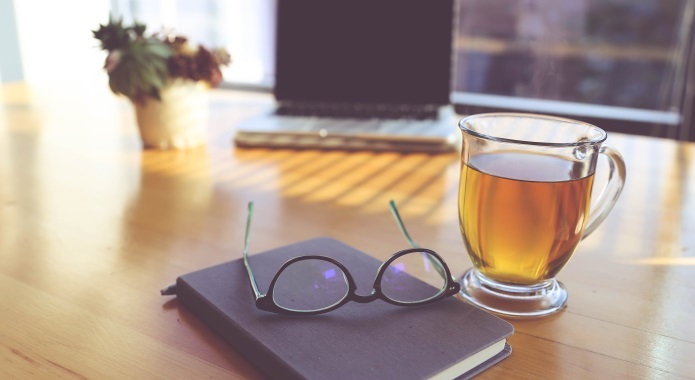 Do you drink enough tea during the day? Researchers recommend that you should have around 2 to 3 cups per day. One of the best choices is also one of the most comforting, especially during the winter months – the peppermint tea. I wouldn’t drink more than 2-3 cups of peppermint tea a day. Although this tea has awesome benefits, there are some side effects you should be aware of. It is a good idea not to drink more than 2-3 cups a day. When you overdose on peppermint, it could cause diarrhea, heart palpitations, and a slowed heartbeat as well. Although recommendation by University of Maryland Medical Center says that you can drink up to 4-5 cups of peppermint tea a day, I will stick with 2-3 cups just to be safe. When to drink peppermint tea? The best time to drink peppermint tea is in the evening. It will make you relax and has no caffeine in it, therefore, you will fall asleep faster and feel more refreshed. Known for its delicious taste and pleasant aroma, it is also excellent for your body and your mind. 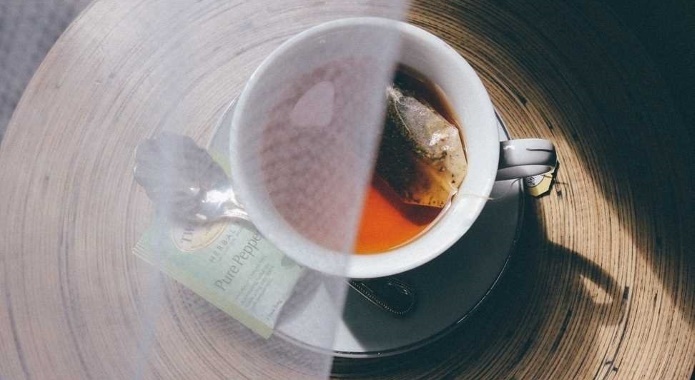 Is peppermint tea good for you? 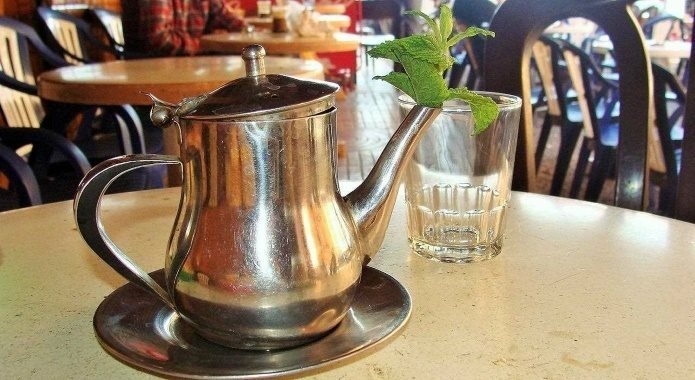 Let’s take a look at thirteen must-know facts and benefits of drinking fresh mint tea. 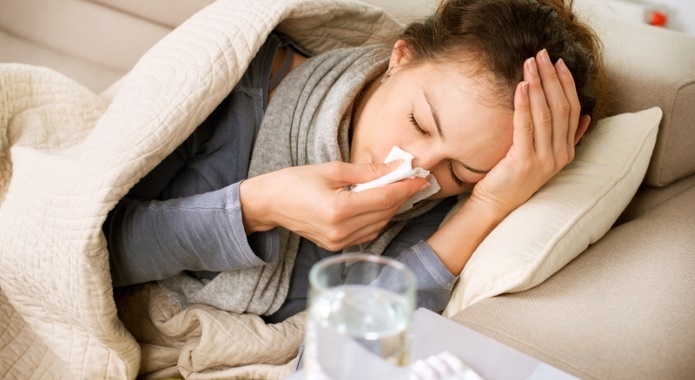 Congestion, runny nose, and fever are all typical symptoms of cold or flu (stomach pain is discussed more below). Luckily, there is powerful peppermint plant you can use to make a tea that will counteract these symptoms. The mint found within your cup of tea (Menthol) is considered a natural decongestant that actually breaks down the phlegm that leads to coughing and problems with breathing. There is also rosmarinic acid found within its leaves that has been shown to help with asthma. This acid will open your airways naturally and make it easier for you to breathe. Because it is so potent it’s included in many creams meant to aid with respiratory health and nasal congestion. If you’re coughing and your throat is sore, this hot beverage will also provide relief. Coating the throat, you’ll find swallowing to be much more comfortable. So remember, when you catch the flu and you have problems to breathe freely, just drink a cup of peppermint tea or even chew on a fresh leaf from this plant to ease symptoms. – Meamarbashi, A., and Rajabi, A. The effects of peppermint on exercise performance. 2013. Journal of the International Society of Sports Nutrition. 10: p. 15. Relieving cold and flu symptoms isn’t the only thing that’s peppermint tea good for. Just the smell of peppermint has been shown to reduce and relieve stress. Not only will you be less tense, but this also allows you to fall asleep faster and get a better night’s sleep. You can drink it even right before bedtime and not worry about waking tired. Also, don’t forget that mint tea has no caffeine in it, therefore, it’s ideal beverage to unwind and relax after a hard day at work. 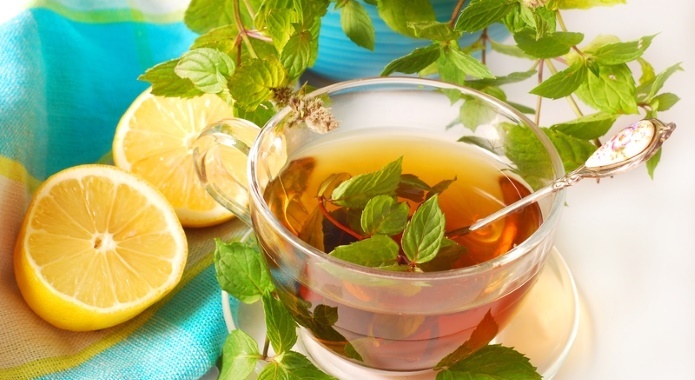 The menthol, which is the main active component of peppermint tea, is known to be a potent muscle relaxant. As stress is usually manifested in muscle tension, mint tea is the ideal companion to help you fight it. – Moss, M., et al. Modulation of cognitive performance and mood by aromas of peppermint and ylang-ylang. 2008. The International Journal of Neuroscience. 118(1): p. 59-77. Did you know that stomach pain and gas can be easily eradicated thanks to essential oils in the peppermint leaves? The process is quite simple. The mint (also known as menthol) is a natural soother that will relax your tummy. Not only that, sipping a cup of hot liquid will also provide a relief to the tension in your belly. Peppermint tea significantly reduces bloating and gas problems that make for an uncomfortable feeling in your bowels. However, a cup of this tea will not help with severe medical issues regarding your stomach. – Khanna, R., et al. Peppermint oil for the treatment of irritable bowel syndrome: a systematic review and meta-analysis. 2014. Journal of Clinical Gastroenterology. 48(6): p. 505-12. Peppermint, in general, is a strong antioxidant that allows you to fight off free radicals and keep your body healthy. The best part? I have never heard of a situation when someone had too many antioxidants. Luckily, the peppermint plant is full of them when compared to other herbs and spices. Just don’t forget to include plant-based foods, fruits, and vegetables in your diet. – Riachi, L.G., and De Maria, C.A. Peppermint antioxidants revisited. 2015. Food Chemistry. 176: p. 72-81. This is the perfect tea for you if you suffer from indigestion or even irritable bowel syndrome. Mint is known to sooth the stomach and has been used outside of traditional medicine for thousands of years to aid in indigestion. What happens is that peppermint actually improves the flow of bile that is used to digest fats. This ensures that digestion occurs faster and leaves less of an acidic environment within your stomach. Don’t forget that mint also relaxes muscles in your gut, allowing gas to pass more smoothly thus relieving bloating and discomfort. Did you know that fresh mint can cleanse your liver of toxins and actually help your body to dissolve small gallbladder stones? Ingredients found in peppermint plant are responsible for increasing the flow of bile. If bile isn’t flowing properly, there is a higher chance that gallbladder stones would be formed and this can lead to a whole host of other problems. 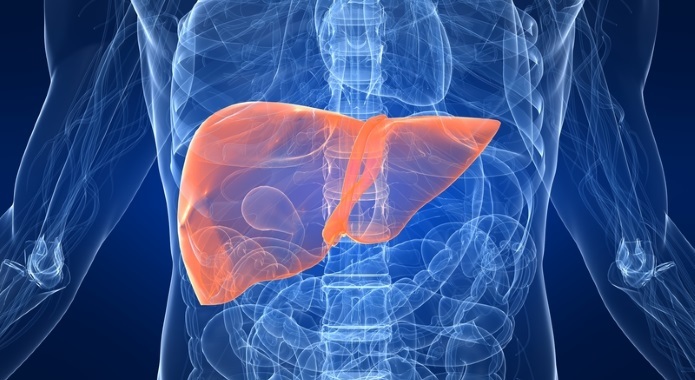 Bile is also really essential for you to absorb fat-soluble vitamins such as A, D, E and K.
Just have a look at what Colorado State University has to say about bile and your health if you don’t trust me. As you can see, maintaining your gallbladder in a good condition and promoting your bile flow can be essential for your health. – Zonq, L., et al. (2011). “Preliminary experimental research on the mechanism of liver bile secretion stimulated by peppermint oil“, in Journal of Digestive Diseases, Vol. 12(4): p. 295-301. One of the things you might not know about peppermint tea is that it may help you deal with and prevent constipation. As we mentioned earlier in the article, it helps with IBS, supports your liver and gallbladder, as well as calms your stomach. These are all things that help fix your bowel movement. Moreover, drinking enough water in the form of unsweetened tea is known to be very helpful in preventing constipation. Dehydration is one of the most common culprits of slow bowel movements among with low fiber diets, increased consumption of dairy products and a sedentary lifestyle. Although I wasn’t able to find supporting research studies that would deal with the effects of mint on constipation specifically, you can’t go wrong if you drink a cup of tea just before bed. Each and every one of us knows that food you eat can get stuck between teeth and actually begin to rot. This will produce an unpleasantly smelling breath. Luckily, brushing your teeth may help with this problem. 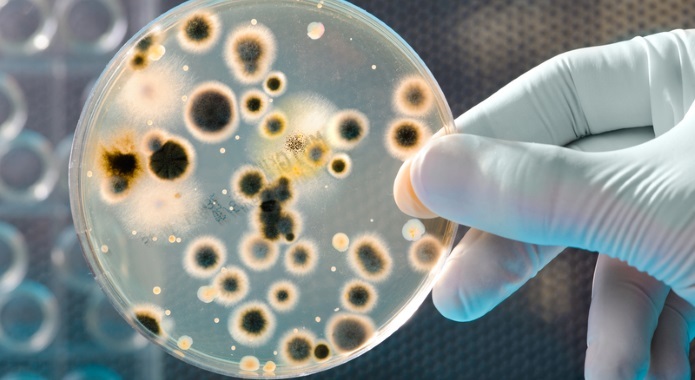 However, there is also the problem of bacteria. Whether you realize it or not, there are a lot of other things living in your mouth that leads to bad breath. A strong scent of peppermint masks the smell of bad breath while its antibacterial elements kill various germs and bacteria. As you can see from the list above, there are many ways you can fight against bad breath, not only by drinking peppermint tea. – Inamori, M., et al. (2007). “Early effects of peppermint oil on gastric emptying: a crossover study using a continuous real-time 13C breath test (BreathID system)“, in Journal of Gastroenterology, Vol. 42(7): p. 539-42. Each and every woman knows that both bloating and muscle cramps are horrible menstrual symptoms. No woman wants to suffer from these side effects. And guess what? No one should. Luckily, there is an easy solution at hand. 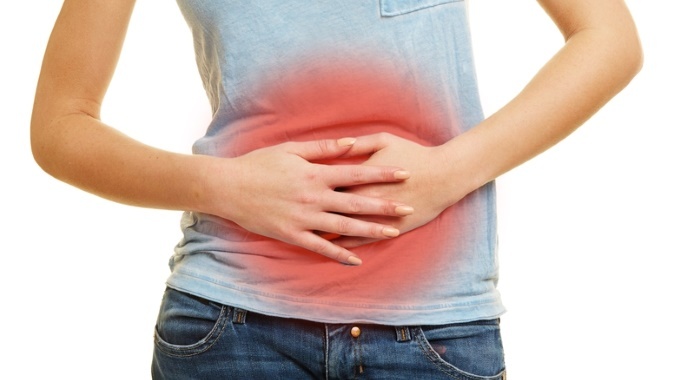 Menstrual cramps are usually caused by contractions of uterus muscle. Thanks to antispasmodic properties of menthol, peppermint tea helps to relax this muscle and to ease the pain. With its ability to soothe your body and your head, cramp pain often subsides within 20–30 minutes of taking a cup of this tea. What is more, there have been numerous studies that showed women were more comfortable after drinking tea and had less bloating and pains as a result. – Masoumi, S.Z., et al. 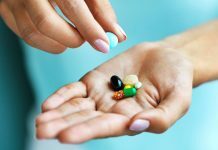 Evaluation of mint efficacy regarding dysmenorrhea in comparison with mefenamic acid: A double blinded randomized crossover study. 2016. Iranian Journal of Nursing & Midwifery Research. 21(4): p. 363–367. Migraines and headaches are not for me. However, when my head is pounding, I often reach for a cup of tea instead of aspirin. Tea, especially when sipped, has been shown to relax tense muscles and ease the pain felt with a headache. Aroma plays a big part in this too. 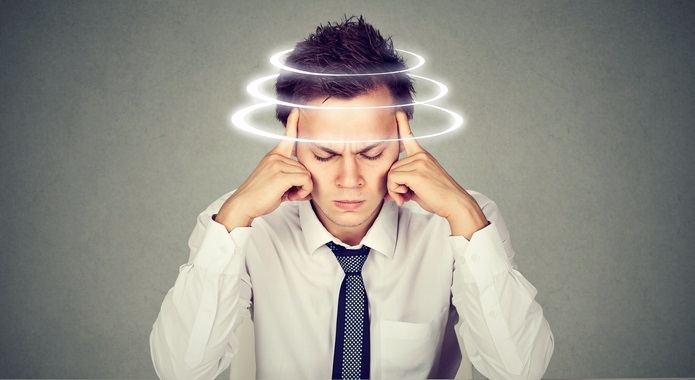 Did you know that congestion is one of the most common causes of head pain? When you smell mint, your nasal passages will open and clear away congestion. By opening up your airways, you’ll be allowing more oxygen to reach your bloodstream. This will result in quick relief from even the worst migraine. Other teas you can use to successfully combat headaches include ginger tea, chamomile tea, and feverfew tea. Study after study has been done on different types of teas and how they can help fight off various bacteria, viruses, and fungi. Surprisingly, peppermint tea seems to be more potent than a majority of others. Thanks to its antibacterial properties it is efficient in destroying a lot of bacteria in your mouth. This keeps your mouth sparkling fresh. Studies that have been done in test tubes have shown that this tea may even be able to beat the Herpes simplex virus. You’ll also want to take into account the antioxidant levels found within it. These substances will reduce free radicals to keep your body in the tip-top shape at all times. It’s a mixture of beneficial properties of peppermint plant that will allow you to fight off ailments and boost your immune system. This is what makes this hot beverage a must-drink. – McKay, D. L., et al. (2006). “A review of the bioactivity and potential health benefits of peppermint tea (Mentha piperita L.)“, in Phytotherapy Research, Vol. 20(8): p. 619-633. 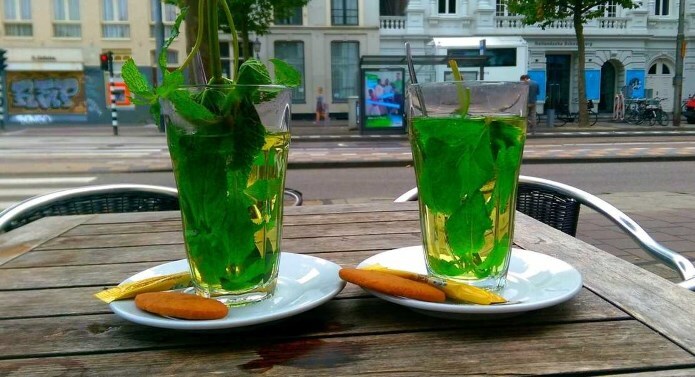 Did you know that mint tea might help you lose a little weight as well? Actually, there are three great ways how peppermint helps you to get the figure of your dreams. Drinking peppermint tea before your meals will make you feel satiated even by eating smaller portions. This way, you will consume fewer calories during your day. Just make sure your cup of tea is unsweetened. For best benefit choose fresh mint leaves for your tea. When you feel intense food cravings, you usually end up eating sweets loaded with refined carbs, trans fats, and other unhealthy junk. Although all this is delicious, it usually is jampacked with lots of calories. 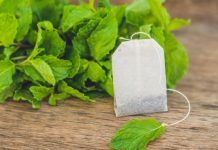 As the main part of weight loss is calories in – calories out, drinking peppermint tea (or even better option is smelling peppermint oil) will help you stay in caloric deficit needed to shed pounds. The last thing to point out is that mint helps you calm down and relax. It is a known fact that when we feel stressed, we usually tend to eat comfort foods. This is often some nasty junk food like ice cream, cookies, and high carb and fat loaded pastry. Again, there is a simple equation – less stress means fewer calories ingested. Simple as that. – Reed, A., et al. (2008). “Effects of peppermint scent on appetite control and caloric intake“, in Appetite, Vol. 51(2): p. 393. One of the many benefits of peppermint is that it helps with concentration and improves memory. 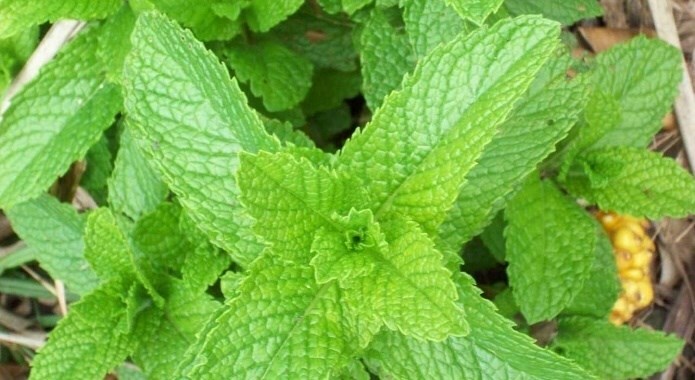 According to studies done it seems that brain reacts to mint leaf aroma and it helps increase alertness. 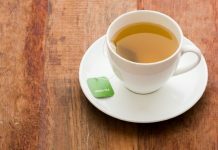 The scent of peppermint tea is said to promote mental performance and focus, making this tea great for students or those that need peak mental state. I bet you don’t know that peppermint scent might help increase focus and alertness while driving as well. 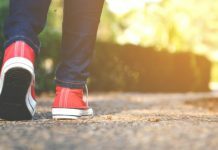 According to another study done on Wheeling Jesuit University, peppermint tea is associated with decreased anxiety as well as decreased fatigue while driving. As always, you’ll want to consume a reasonable amount (2-3 cups a day) to be safe. However, I believe that you would have a difficult time experiencing any negatives from this drink itself.